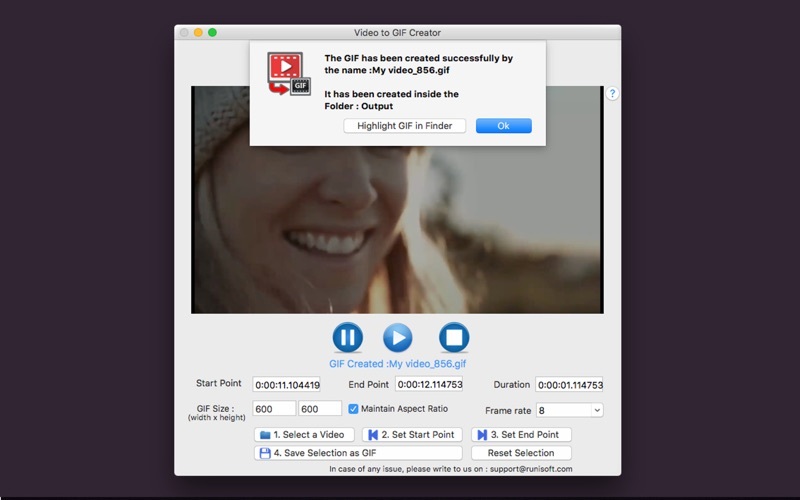 The application converts the selected part of the Video into a GIF animation. 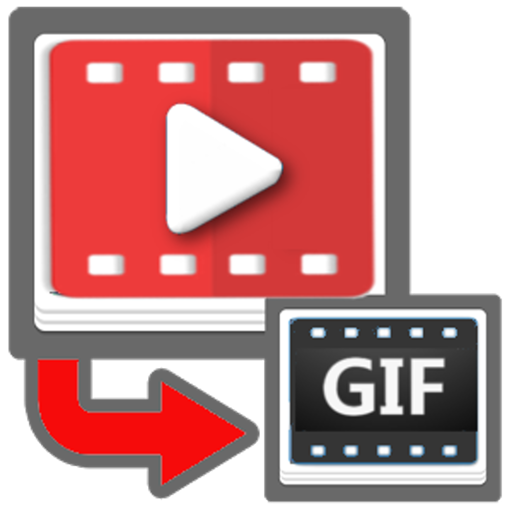 The GIF animation could be created from any video of your choice. 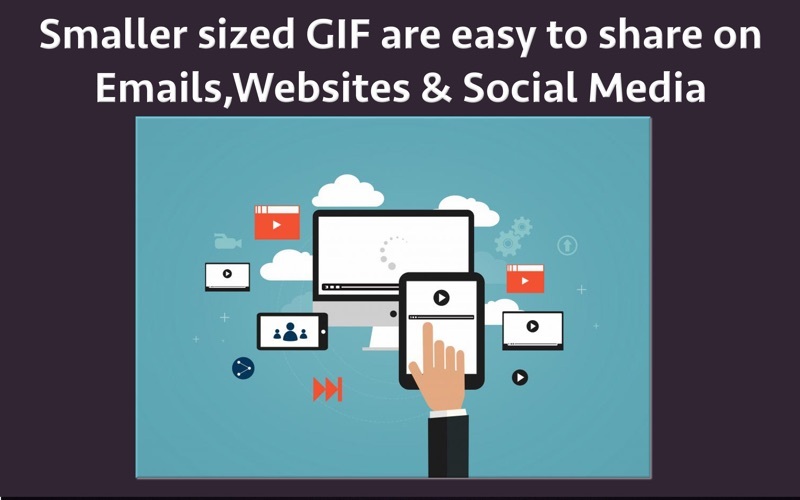 Creating a GIF from video creates a file of very reduced size which could be shared easily across email, websites and social media.It helps to share only a required part of the video in minimal size. a) The size of the GIF could be adjusted. This helps in achieving exact size of GIF. Inside the application, the height and width could be specified. 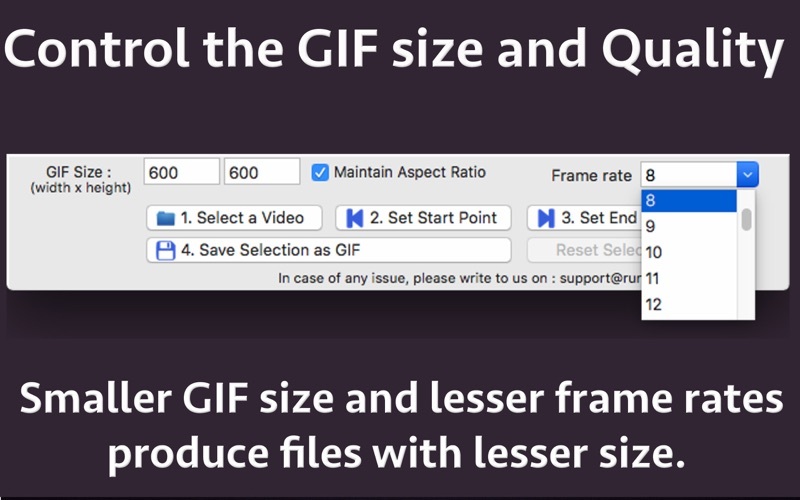 b) Maintain aspect ratio : If this option is checked, it prevents the stretching of the created GIF. c) Frame Rates : You could specify the frame rate to achieve for the GIF.A GIF with lesser frame rate will be smaller in size than a GIF with a higher frame rate. For example : A GIF with frame rate of 10 fps will be smaller in size in comparison to a GIF having a frame rate of 15fps. In this way, you could control the size of GIF by specifying an appropriate Size and Frame Rate. The created animations keep on repeating and are easily sharable on social media.Due to lesser size of GIF, these are easily shareable on emails also. If you have encountered any funny moment in the video, you could convert it into a repeating animation. The created GIF will be much lesser in size and it will keep on repeating the same moments.The animation created is also very lesser in size and can be easily sent in Email or shared in social media. GIF are smaller in size.Hence, these could be loaded easily and play automatically on a website which drives the attention of the visitors. That is the reason these could be used in select places across your business website where you're trying to drive visitor attention. For example, you should consider using GIF animations on your homepage or on your "About Us" page to keep readers engaged. Step 1: Click on the button "Select a Video". 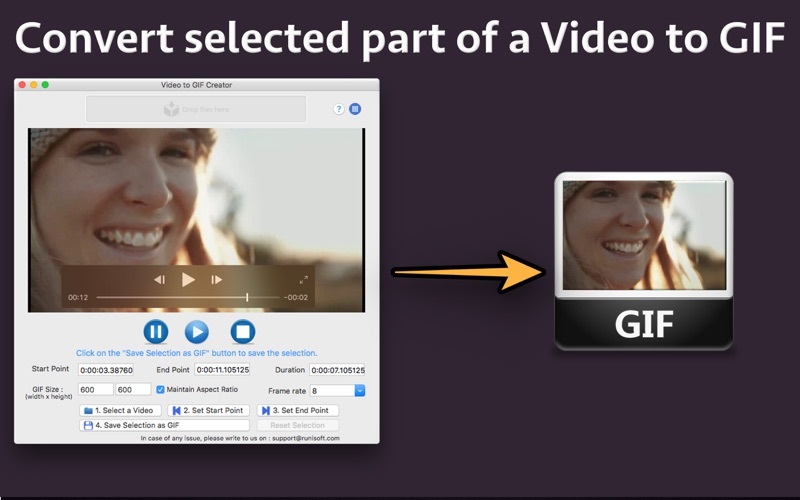 You could also the Drag and Drop the video directly to the application.The application supports MP4,M4V and MOV Video formats. Once the video is seleted , it will start playing automatically. When the mouse button is moved over the video, the controls will automatically appear.There, the video could be paused and the present duration of the video could be seen as well.Also, one can go to any desired location by dragging the progress bar. Step 2: Click on Button "Set Start Point". By clicking on this button, the start point could be selected.This will mark the point from where the GIF should begin. Step 3: Click on Button "Set End Point". By clicking on this button, the end point could be selected.This will mark the point till which the GIF shoulf be created.i.e. GIF will end at this point. Step 4: Click on "Save selection as GIF" button to save the selection.Once this button is clicked, the app will ask the location where the GIF should be saved.Please select a folder and the app will save the GIF to that folder.